ANTONI MIRANDA (city of Mallorca, 1960): began playing classical guitar at age 13 and at 16 offers concerts in the “Guitar Center” of Palma. Founder of several formations of Jazz as “Brossat” and “Téntol”. Arranger and musical producer of the album “Mallorcatur” (re-released in 2004), author of the music for the television series ‘Magical Mallorca’. He has written scores for the “JONDE” (National Youth Orchestra of Spain) and has given concerts of classical guitar with Jovan Milosevski by all ́Europe. He has collaborated with musicians such as Ricardo Pla (drummer of the group “Irakere”), Alex Acuña (percussionist of the band “Weather Report”), Peter Erskine (drums in “Steps Ahead”, Michael Brecker, Diana Krall), with the Argentine pianist Lito Vitale and bassist Gary Willis. In its educational aspect include its incorporation to the “Travelling School” of drummer Jimmy Weinstein, highlighting seminars of jazz that organized annually, as well as his Big Band “Miranda Jazz Combo”. In 2007, he toured Spain with the pianist Joan Martorell, with whom he recorded “Capturant a sospir ‘. 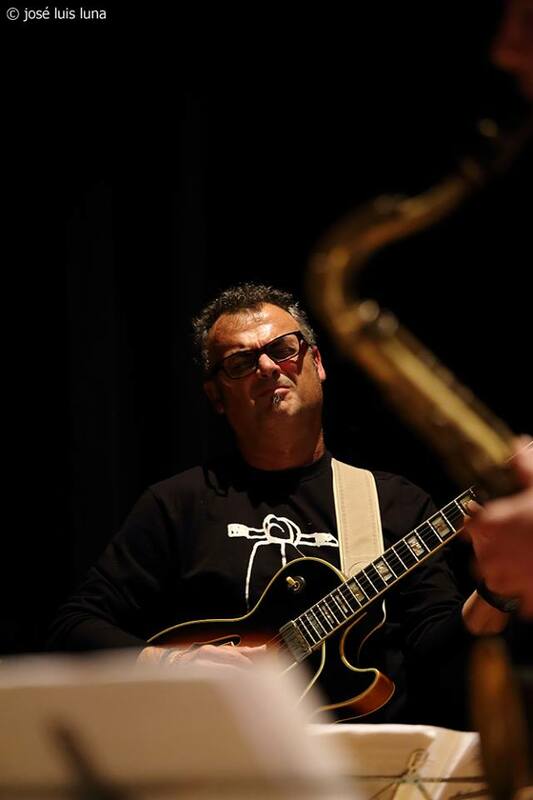 In 2008 participated in the “14 Sa Pobla Jazz Festival” with the “Travelling School Band”, is the guitarist of the cantata “Rua fosca”, premiered at the “main theatre” de Palma in October of the same year. With the “Miranda Jazz Quintet” participates in “XI sa Pobla Jazz Festival” (Mallorca), sharing the stage with Marcus Miller and Uri Caine, Llibert Fortuny, among others. In 2007 he premiered “Jazztic”, show that combines dance and jazz, premiered in April at the theatre “Xesc Forteza” and later in the Auditorium of Palma, Ibiza, Madrid and Valladolid. In May of that same year participate in the International Festival in Dusseldorf “Rallye Jazz Festival”. 2011 win the prize as best jazz of the Balearic Islands group in the “4th Festival de jazz-comercial” and second at European level. They participate in the “Jazz Expo” in Sardinia (Italy). In 2012, it is part of the “Satoko Fujii Ensemble”, with Satoko Fujii on piano, Jimmy Weinstein (drums), and Natsuki Tamura on trumpet, Lilli Santon in the voice. In 2013 will participate, together with the journalist Carlos Garrido and Rodo Gener actor, in “Les nits Gòtiques” at the Bellver Castle. It is played with saxophonist Noah Preminger and trombonist Dan Fox in August 2013. 2016 composed the music of two documentaries and the soundtrack to a short film produced by the ESCAC in Barcelona “Coplillas por Bombay”. In December he participated in Jazz Festival “Alternatilla”, playing with the Dutch saxophonist Benjamin Herman. In 2017 is the guitarist of the Quartet that accompanies the prestigious singer Sheila Jordan in his only performance in Mallorca.